The Emir of Kano has ordered the rebuilding of a Baptist church and pastor's house in Rogo Local Government Area (LGA), Kano State, and has warned against any further attacks on churches within his emirate. The church and pastor's house had been destroyed in violence that resulted in the death of the pastor's daughter. Fifteen people have been arrested in connection to the attack on the church and pastor's house in Gidan Maso Village on the evening of 1 April, which claimed the life of the daughter of Reverend Habila Garba. 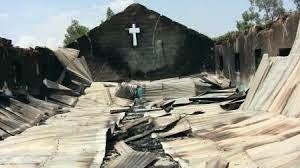 Local Muslim youths set fire to her home and church after failing to locate a Christian man who had briefly converted to Islam before returning to Christianity. On 9 April, the Emir of Kano, Alhaji Mohammed Sanusi II, summoned Rev Haliba Garba, the Rogo District Head, the chairman of the Christian Association of Nigeria (CAN) in Rogo and the CAN public relations officer to his palace to express dismay over the incident. He warned the District Head that such an incident should never be repeated in Rogo or anywhere else in the Kano State Emirate and ordered him to contact the LGA Chairman to facilitate the rebuilding of the church and pastor's house, sending a letter to the Chairman to that effect. At a press conference in Abuja, General Ishaku Ahmed Dikko (Rtd. ), president of Tarayyar Masihiyawan Nijeriya (a Hausa, Fulani and Kanuri Christian organisation) said: "The action of the Emir has really rekindled the hope of all oppressed Hausa Fulani Kanuri Christians not only in Kano State but in all states where our people reside." Prior to the Emir's intervention, a Kano State official who had visited the area to assess the situation had caused consternation by reportedly dismissing the violence as a minor incident that had attracted unwarranted publicity. General Dikko also called for action against four youth who were "roaming about boasting and threatening the Christians because they have not been arrested." Mervyn Thomas, Chief Executive of Christian Solidarity Worldwide (CSW) said: "We applaud the decisive intervention by the Emir of Kano to ensure justice and restitution. Without his proactive intervention this appalling incident that claimed an innocent life would merely have been the latest occurrence in a litany of injustices suffered by religious minorities in Shari'a states. We encourage others in authority to emulate the Emir by ensuring equality before the law, justice and restitution regardless of the ethnicity or creed of victims of violence. If this occurs, his commendable initiative could mark the beginning of the erosion of impunity surrounding religion-related violence."